I haven't written a lot recently about being grateful. And probably this time of year, more than ever - I find a lot of things to be grateful for. For girlfriends, lots of girlfriends that help me in ways they don't even know. For a daughter who tries to help when she knows I'm going through a rough time. 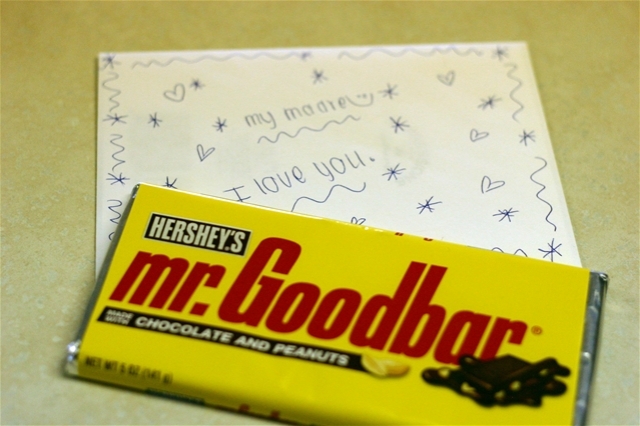 What more could you want when you are down then a sweet card and your favorite candy bar! 5. A sweet, happy dog that greets you when you come through the door.